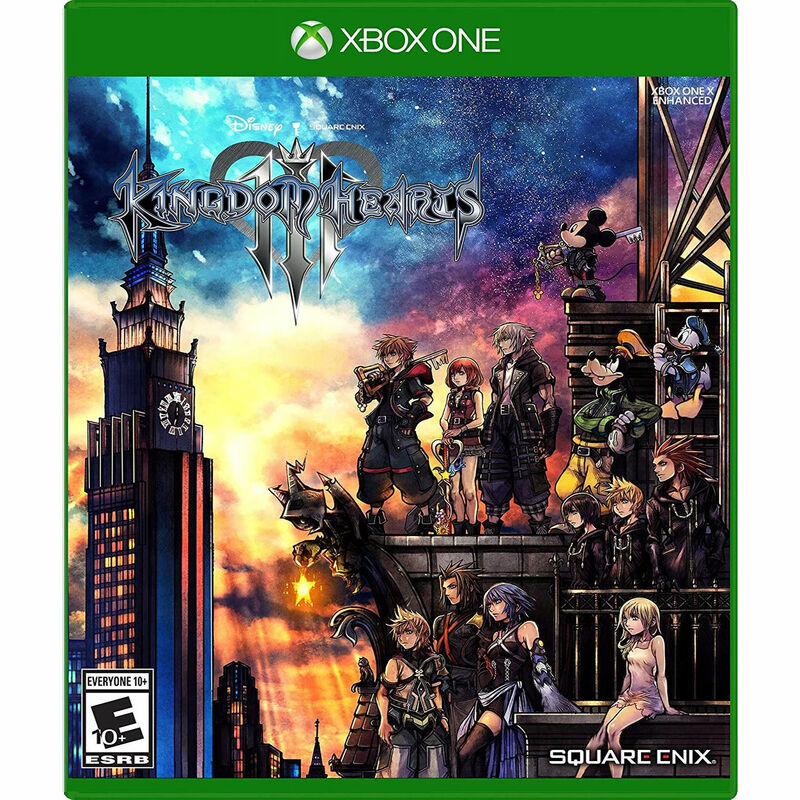 In Kingdom Hearts III from SQUARE ENIX, Sora and his friends embark on a perilous adventure in a story of the power of friendship and light versus darkness. Set in a vast array of Disney and Pixar worlds, Sora is the unknowing heir to a spectacular power. Joined by Donald Duck and Goofy, Sora must stop an evil force known as the Heartless from invading and overtaking the universe. Sora, Donald, and Goofy unite with iconic Disney and Pixar characters old and new to overcome tremendous challenges and persevere against the darkness threatening their worlds. Embark on an adventure that spans the Disney universe. Travel across Disney and Pixar worlds to protect them from the Heartless invasion, and befriend and join heroes from Toy Story, Monsters, Inc., Big Hero 6, Tangled, Hercules, and more. The mysterious and powerful Keyblades can now transform into additional forms with added abilities, moves, and animations. Equip multiple Keyblades and combo between them to unlock spectacular attacks. Cast powerful magic spells to battle the Heartless. Call upon your Disney and Pixar friends and partner with them for support. Turn the tide of battle by summoning "Attractions" inspired by the theme parks. Explore and interact directly with the Disney and Pixar worlds. Fight off swarms of Heartless while scaling massive cliffs, diving deep underwater, or freefalling through the air. Experience unique gameplay elements custom designed for each world. Box Dimensions (LxWxH) 6.75 x 5.35 x 0.55"